Back several years ago, my wife and I ate at a restaurant in the East Bay called the Dead Fish. It sits over the Sacramento River just before it drops into San Francisco Bay and is a fun place to go. 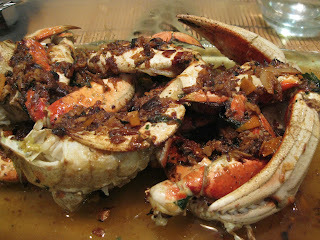 The specialty there is Roasted Crab which we really found to be quite amazing. Always up for a challenge I thought it'd be fun to try to recreate it at home. This is a pretty easy dish to make but caveat on the garlic and copious amounts of butter that's required to make it comparable to the one at the Dead Fish. 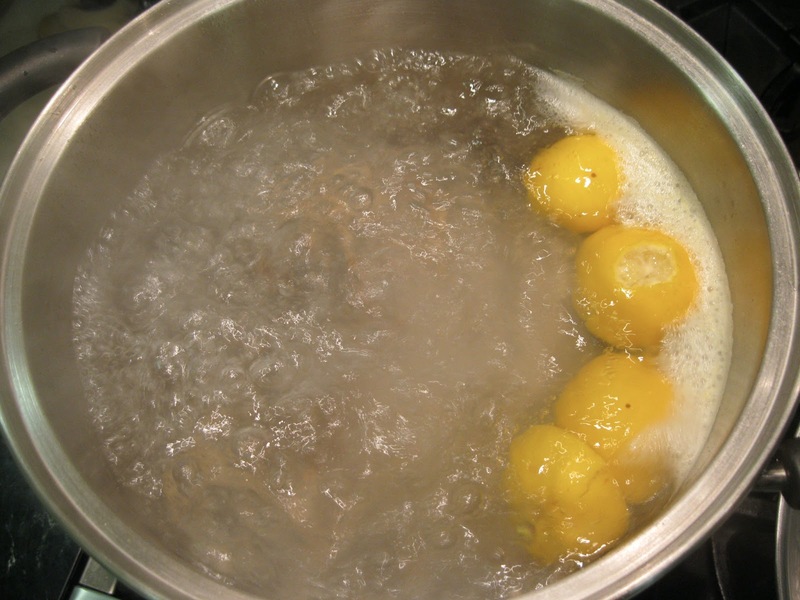 Fill a pot large enough for the crabs with water, adding the quartered lemons. 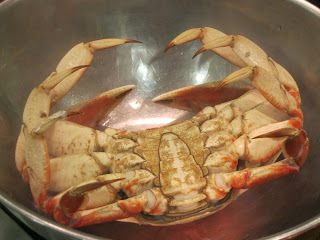 Bring to a boil then add the live crabs. Bring back to a boil and cook the crabs for 8 minutes. 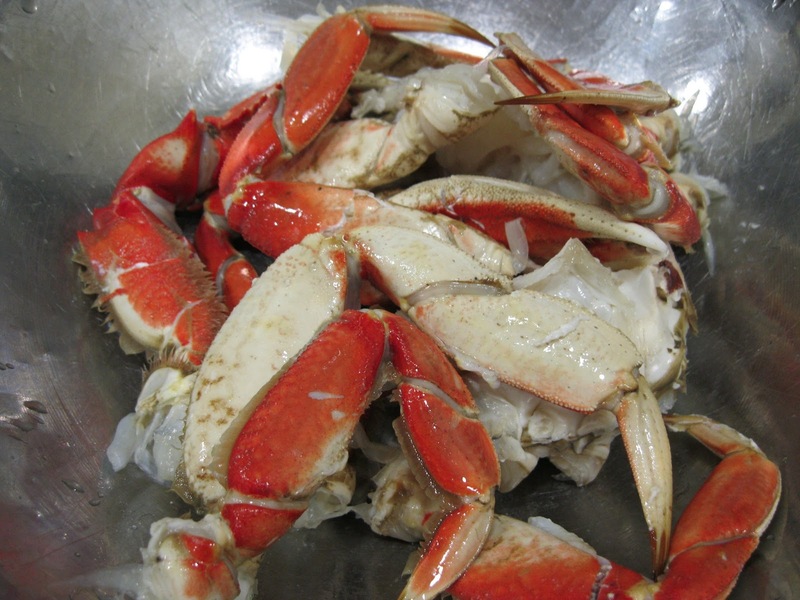 Remove the crabs from water and place in a bowl in the sink rinsing under cold running water to bring down the temperature. 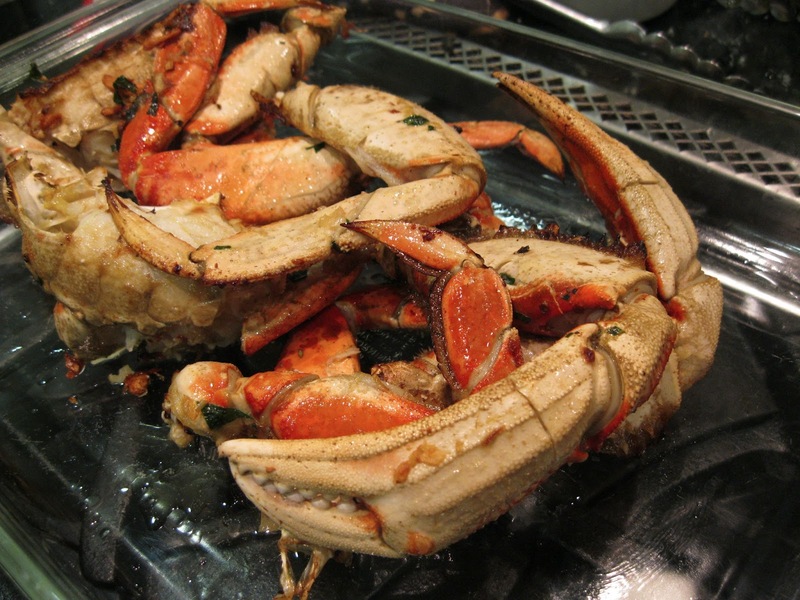 When cool, separate each crab, removing the lungs and cutting the body into half. 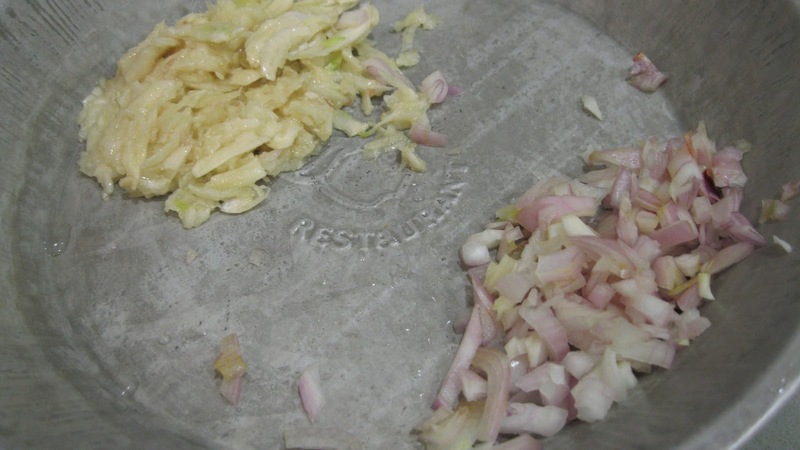 Partially crack the body and the shells so that the oven heat can access the meat inside. Set them aside. 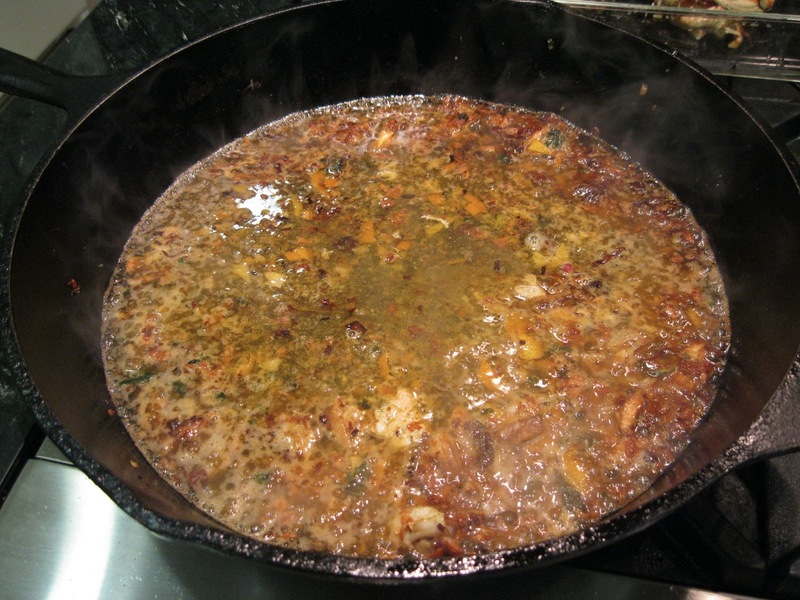 Heat a large oven-proof skillet over medium-high heat and add the butter and oil. Once hot add the minced garlic and shallots and cook until soft. Add the cracked crab and cook for a couple of minutes. Put the skillet in the pre-heated oven and cook for about 10 minutes. The shells should color but not burn. While the crab is cooking prepare the peel and juice of the orange. 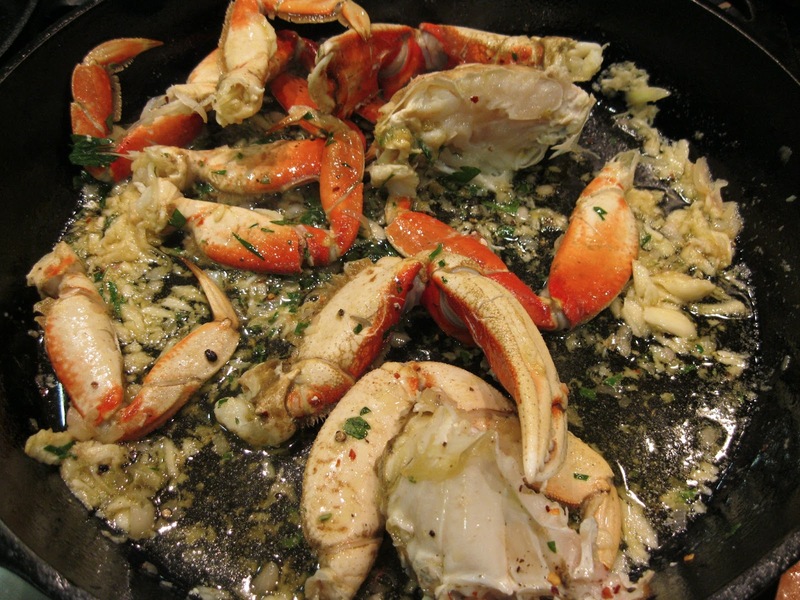 When the crab is done, remove the skillet from the oven to the stove top and the crab to a platter. 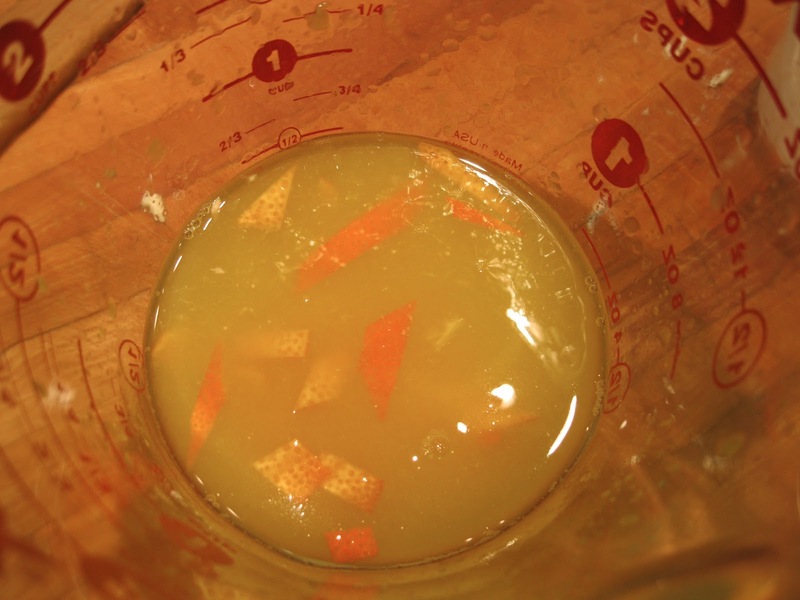 In the skillet over a medium heat add the orange juice and minced peel to the juices and reduce to a sauce. Drizzle the sauce over the crab just before serving. 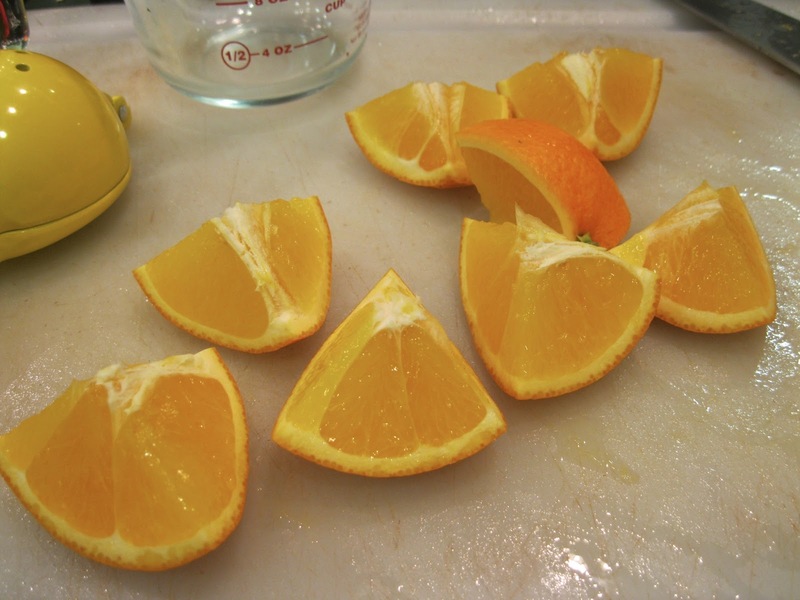 This can get pretty messy at the table so provide finger bowls of water with some sliced lemon and plenty of napkins along with the shell crackers and picks.